Colbie Albright has spent most of her adult years taking care of her family and the added pressure from her career isn’t helping any, so walking away from all of it for a bit is the only way to relieve the pressure, never mind that she has a looming deadline on a book she has not even written yet. What she planned to be a getaway to some sunny climate became a trip to San Francisco where her solo plans get scuttled, thanks to an unruly canine. But the replacement plan isn’t so bad after all because she gets to spend time with Spence Baldwin and the rest of his crew and hopefully get her creative juices flowing again. As usual, the dialogue was enjoyable, as was the interplay among the friends. 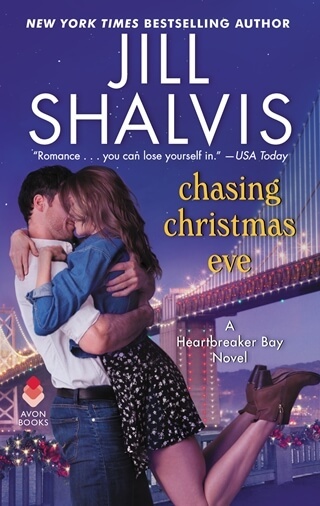 The best thing about Ms. Shalvis’s writing is getting a romance, great dialogue, amazing interplay among secondary characters and a sense of family/community among the characters in one book. Spence was the heart of this group, giving so much to them and asking for nothing and I loved how they rallied to protect him, even though it was not necessary.